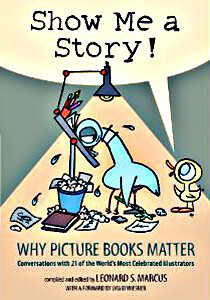 What is your favorite picture book? If you're like me, it's hard to choose. Maybe Leonard Marcus feels the same way. In his book, Show Me a Story! Why Picture Books Matter, he interviews 21 children's book illustrators who share their insights regarding the creative process, their lives, book characters, and more. 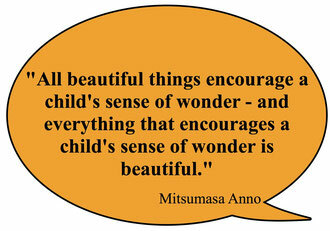 I was hooked halfway through the first interview with Mitsumasa Anno and his description of how imagination and reality complement each other. "It's where the two meet that hope is to be found." Other notable interviews include Eric Carle, Lois Ehlert, Kevin Henkes, Jerry Pinkney, Chris Raschka, Maurice Sendak, Rosemary Wells, Mo Willems and many more. Great resource for all creative teachers, librarians, parents, and children's book lovers! Children will also enjoy learning more about their favorite authors.